Thanks for stopping by our website. Enjoy this virtual tour of one of the best kept secrets on the Oregon Coast … we hope you’ll have the opportunity to experience it for yourself soon! Our cozy cottage sits high upon a cliff above the surfing beach in secluded Otter Rock on the central Oregon Coast, just 7 miles north of Newport. 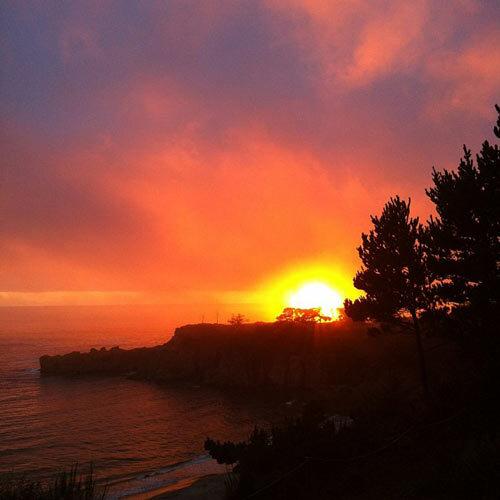 The magnificent view spans the entire ocean horizon, from the Devil’s Punchbowl to the historic Yaquina Head Lighthouse. 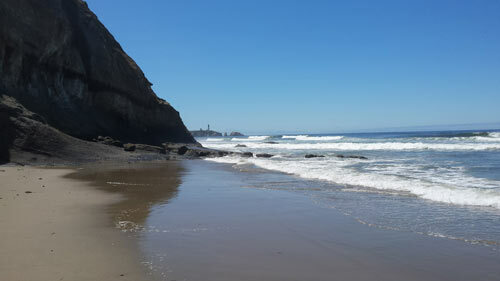 Otter Rock has a State Park scenic loop trail, some of the best tide pools on the coast, a Mo’s Chowder House (open seasonally), a surf shop, and the Flying Dutchman Winery and Gift Shop. 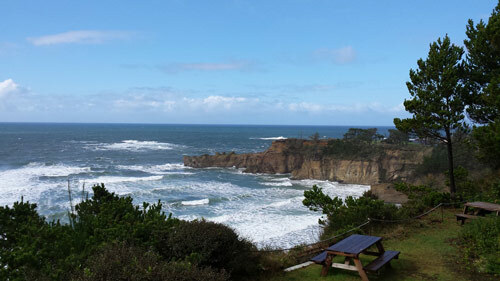 An easy drive will find you exploring the nearby Oregon Coast Aquarium, Hatfield Marine Science Center, Rogue Brewery and Pub, and other sights and attractions in Newport, Depoe Bay, and Lincoln City. Wildlife abounds in this private, natural setting – while enjoying a beverage on the large deck overlooking the cliff you’re likely to see bald eagles, seals, sea birds, peregrine falcons, hummingbirds, and whales.